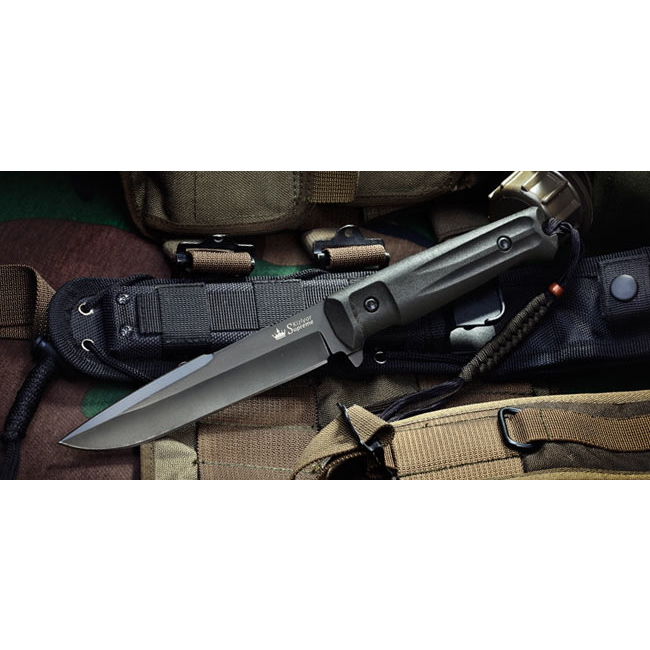 Kizlyar Supreme’s Delta tactical knife in D2 is different from the Alpha knives by having a broader harpoon style tip. 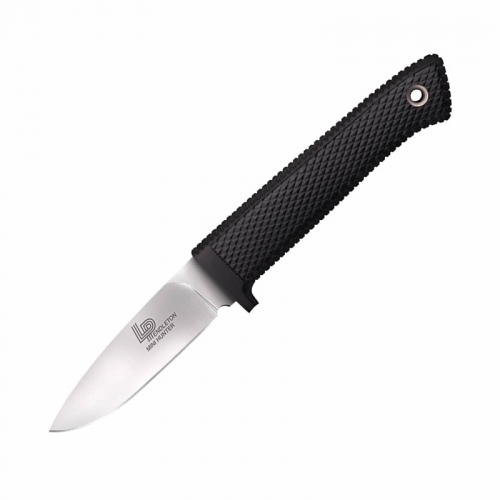 All Tactical Echelon knives feature a highly versatile MOLLE compatible sheath that can be attached to almost anything. 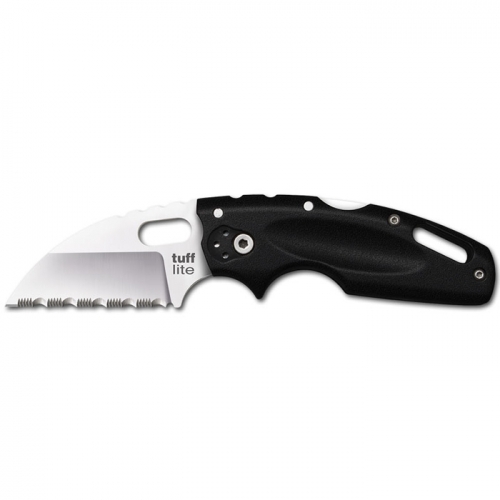 The sheaths are designed specifically for the series and the three point locking system holds the knives securely enough to allow for secure tip up carry even during strenous activity. Numerous accessories that are sold separately include a MOLLE belt that can be used for a quieter and even more comfortable knife carry on a thigh, also there is a choice of a few MOLLE-compatible pouches that can be installed directly onto the sheaths to carry a multi-tool, folding knife, sharpener, flashlight, survival kit, etc. Included: Knife, multifunctional attachment Molle-compatible sheath, lanyard, international warranty certificate, gift box. Made by Kizlyar Supreme. 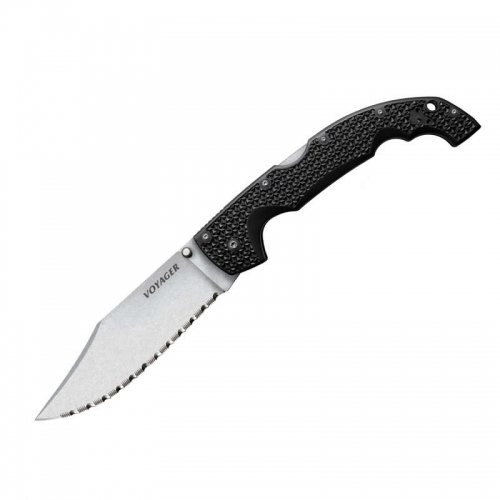 Key Features: Kraton Handle with ABS Base D2 Steel with Titanium Coating Nylon MOLLE Compatible Sheath Overall: 11 1/8″ Blade Length: 6″ Thickness at Guard: 4.7mm Blade Steel: D2 Hrc Edge: 60-63 HRC Handle Material: Kraton/ABS Specs will vary slightly from piece to piece.